How do you like the carbon p3 frame guards? I’ve wanted to pull the trigger, but was waiting to see them on. They look great! Can you post some more pics? Love the look of the new body style.!! Why do you want to get away from the ktm for your son. 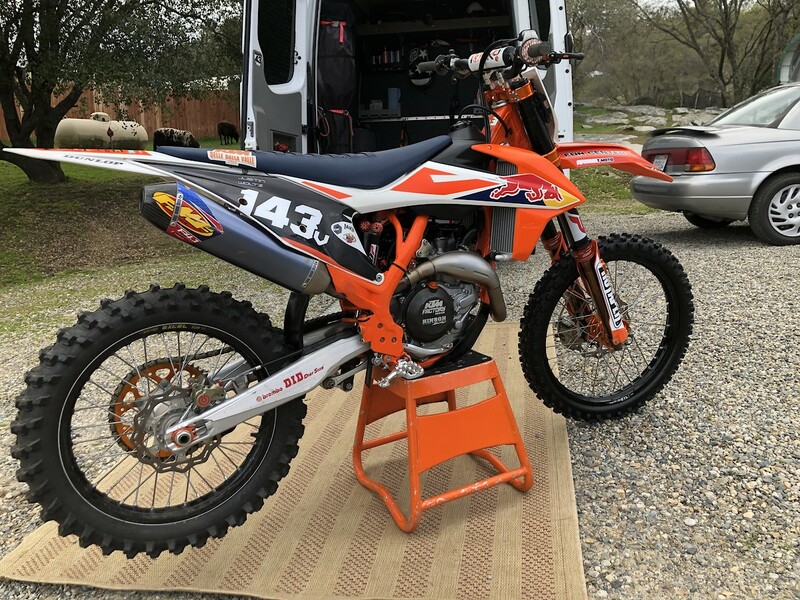 I have foremost for my ktm, and have had for my Last 4 bikes. More than happy to pay it. Pm sent on the boots. Although it’s a long day, they run it really well. Every class is sold out for most rounds with people on waiting lists. Very cool for the sport!!! Ha, that’s funny. I actually went and looked at that bike about a year and a half ago, it’s out of Bakersfield. It is actually for sale, but for Way more than that. Ha! So true. Guess I will be keeping it. It’s just so big.